The current arc is Lines in the Sand. The resurrected Azir has harnessed the energy of Nyroth’s restoration to raise the Sun Disc up from the sands. Nomadic Shurimans and mercenaries led by Sivir have rallied to him, hailing him as their Emperor. The new Shurima now seeks to overthrow the millennia of subjugation it has endured, carved up by the great powers of Valoran and defaced by countless lines drawn on foreign maps, the latest of which derive from the Hextech Revolution. Azir’s petition to dissolve the League protectorate over Shurima and instead join as a full member-state has been opposed by Piltover, which seeks to develop Shurima into a more modern civilization under Piltovian law, and Noxus, which intends to claim Shurima’s arcane power for itself as a new weapon against Demacia. You can copy and paste these into the Search box in Champ Select to create a custom Champion filter. At the height of the Shuriman Empire’s power, none dared transgress upon its borders. Yet since the Empire’s destruction nearly two thousand years ago, Shurima has become a patchwork land of fine-drawn lines and borders, smothered in treaties and contracts. The founding of the League of Legends has merely simplified and consolidated this state of affairs, and that stability has if anything decreased the already slight measure of independence possessed by native Shurimans. In the west, Piltover is now constructing a new stretch of its velocitronic railway through Shurima, to connect Demacia with Bandle City and serve as a backbone for its efforts to “civilize” the desert’s scattered nomads. In the north, Noxian legions stand guard over Zaunite mines, while the High Command and the noble houses race against one another to breach the arcane seals (and the legal barriers) that separate them from Shurima’s ancient power. And in the east, the Void-possessed lich queen Nefara holds dominion over a city of the restless dead. It seems that soon the last embers of the Shuriman spirit will be extinguished, its legacy subsumed. But perhaps it will not be so. On 16 May, in the year 25 CLE, Shurima’s ancient capital rose from the sands, crowned by a blazing golden disc of the sun that turned night to day. Azir and his new followers had awoken Shurima’s long-dormant power, and the scattered nomadic peoples of Shurima rushed to gaze upon their reborn Emperor. Fortress walls burst up from under Piltover’s railroad, wrenching the metal apart, and the Shuriman work crews strode forth from their tents infused with the pride and conviction of Shurima’s ancient imperial soldiers to drive these foreigners from their land. Meanwhile, thinking Azir a fool for revealing Shurima’s hidden riches, Noxus sent its legions to seize him and ransack his city, only to be driven back from the walls by a fanatic army shouting battle-cries not heard in over a thousand years. His power demonstrated, Azir issued an ultimatum to the League of Legends: recognize Shurima as a member-state of the League, and nullify the seizures of its territory. Fearful of further escalation, the Council has issued a decree barring any additional factions of Valoran from deploying troops to Shurima, and imposing a temporary armistice—which observers fear may be quite temporary indeed. As the three factions marshal their forces and plot their next moves, their Champions and Summoners have been dispatched to the Fields of Justice, there to stake their claims before the League of Legends, final arbiter among nations. Full rosters follow. For each faction, we’ve listed their current rosters, as well as the Champions they can recruit as the arc progresses. Note that Tertiary Champions are “reach” options that tend to be quite costly for the faction, as they often have only a very tenuous connection. 5 June, 25 CLE—Morgana, the Fallen Angel, enters the dispute on behalf of Noxus. Though she sees in Azir the same arrogant hunger for dominance that made her sister what she is, her principal motivations are more pragmatic. The energy surge that followed the restoration of Nyroth’s central nexus triggered bursts of arcane phenomena from every nexus in Valoran—except for those in Shurima. Where could so much raw power have gone? It is believed that it is now bound up in some of the lost treasures of ancient Shurima, buried beneath the sand, or perhaps in pocket dimensions layered in Shuriman spell-locks. Noxus was searching for these artifacts when the fighting broke out; she is willing to aid them on the Fields, provided that she may also “assist” them with their search…and keep a little something for herself. 12 June, 25 CLE—Warwick, the Blood Hunter, enters the dispute on behalf of Noxus. He was transformed into his monstrous shape when he quaffed Singed’s unfinished potion. (Singed had warned him that without the final ingredient, the blood of a celestial being, the potion would have unpredictable results, but Warwick’s hunger for power overcame his fear—and, to be fair, Singed was sufficiently curious to observe the results that he did not exactly plead with Warwick not to drink the incomplete formula.) Ever since, he has slowly been losing his mind to the savage beast within. Linking with the minds of Summoners has slowed his descent into animal madness, but only slowed it; many brilliant techmaturgists at the Institute have tried and failed to devise a permanent solution. He failed to capture Soraka during the war in Shon-Xan, and the opening of the Void rift in Shurima during the Hextech Revolution has further worsened his condition. (The first Summoner to link with him after the Battle of Shurima, Adine Lathland of the Winter’s Claw, was consumed by bloodlust and committed several murders before being herself slain by a team dispatched by the Institute.) He now comes to Shurima in search of a cure—either by finding Shuriman magic that can complete the formula, or by testing to see if the blood of an Ascended being, a fusion of animal and man, might suffice. 10 July, 25 CLE—Vladimir, the Crimson Reaper, enters the dispute on behalf of Noxus. Practitioners of ancient Shuriman magic disparage modern spellcraft as small-minded and petty, operating on a human rather than cosmic scale. When they unleashed this ancient magic in the opening days of the war for Shuriman independence, they swiftly overwhelmed the Noxian mages, and their magic was crucial to repelling the assault of Cassiopeia’s legions from the walls. Now Noxus’ ranks are bolstered with Noxian Summoners trained in the closely guarded secrets of Rune Wars magic, and the tables are beginning to turn. Vladimir delights in striking down Shuriman soldiers, proving that whatever cosmic power their immortal Ascended masters might wreathe them in, they themselves are only human, and their lives ebb and flow with the hot blood in their veins. 21 July, 25 CLE—Kalista, the Spear of Vengeance, enters the dispute on behalf of Noxus. Rather than turn to the Zaunite allies of the New Noxus regime, Cassiopeia has called in favors with the necromancers of the Shadow Isles to rouse the vengeful spirits of the Shurimans slain by Azir’s hubris and Xerath’s treachery two thousand years ago. Kalista has come forth as the commander of this spectral legion. 24 July, 25 CLE—Thresh, the Chain Warden, enters the dispute on behalf of Noxus, enticed by the prospect of harvesting souls from the battlefield. He is also driven to thwart the full restoration of Shuriman solar magic, which threatens the development of banishing spells like those wielded by Demacia. 14 August, 25 CLE—Riven, the Exile enters the dispute on behalf of Noxus. Riven has been a divisive figure in Noxian society ever since her desertion during the Noxian invasion of Ionia in 13 CLE. She returned from exile in the Mirrorwater conflict, but has not set foot in Noxus itself since the bombing of Shon-Xan and the civil war, instead living among the Noxian refugees from the Void War who have dispersed across Valoran. Many now work the pyrikhos mines in Shurima, and upon Riven’s arrival have come forth demanding the honor of fighting alongside her for the glory of Noxus. 26 June, 25 CLE—Annie, the Dark Child, enters the dispute on behalf of Noxus. She also represents the Grey Order, Noxian witches and warlocks who fled a Noxian purge shortly before the founding of the League and now reside in the Voodoo Lands. A people without a Champion are a people without a voice in the League, and while Annie herself cares nothing for boring grown-up things like politics and diplomacy, she does very much like being treated like a wicked little princess by the members of the Grey Order, who depend utterly on her for standing with the League. Besides, League matches are her favorite kind of playtime. Noxus has allied with the Shadow Isles in this dispute, gaining access to Thresh, Kalista, and Hecarim as Secondary pickups. This was part of the partial early victory Shurima scored earlier in the arc, which nerfed Shurima and buffed Noxus and Piltover, while giving Shurima a major story victory in the form of independence and League recognition. Noxus excels at early game aggression and assassination. It has several Champions with hard CC and burst damage who specialize in eliminating lone targets or winning smaller engagements. It tends to perform less well in teamfights and the lategame. Part I: Mirrorwater. Noxus came in second place out of five factions in the Mirrorwater dispute. Part II: Ceruleana. Noxus was eliminated from the Ceruleana dispute. Part III: Discord. Noxus was not a regular participant in Discord, but it did beat back the Void and the Shadow Isles when they attacked it at the end of the arc. Noxus nonetheless suffered greatly. Part IV: Shon-Xan. Noxus was defeated by Ionia in the war for Shon-Xan. 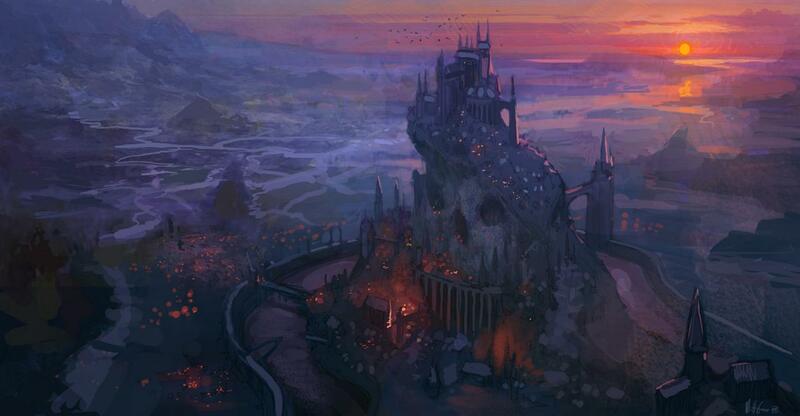 Piltover, the City of Progress, Valoran’s greatest hope for a brighter tomorrow. 5 June, 25 CLE—Orianna, the Lady of Clockwork, enters the dispute on behalf of Piltover. Both the greatest and the most tragic creation of Corin Reveck, Orianna craves battle on the Fields of Justice above all else. She yearns to participate in so grand a dispute as this, because that is what a Champion does, and she is a Champion, just like she always wanted to be. Zilean was recruited by Shurima. 21 July, 25 CLE—Jarvan IV, the Exemplar of Demacia, enters the dispute on behalf of Piltover. He declares that he has come to honor Demacia’s alliance with Piltover. Some say that he is also motivated by a recent discovery made by Lux and Ezreal, revealing an ongoing connection between Shurima’s solar magic and Demacia’s light magic. 7 August, 25 CLE—Shyvana, the Half-Dragon, enters the dispute on behalf of Piltover. She serves as Prince Jarvan’s personal guard in Shurima, and together their presence has reinvigorated the untested Piltovian soldiery. 14 August, 25 CLE—Blitzcrank, the Great Steam Golem, enters the dispute on behalf of Piltover. He is particularly curious to investigate whether Shurima ever possessed the capability to construct golems, and if so, whether any might still exist. 12 June, 25 CLE—Nautilus, the Titan of the Depths, enters the dispute on behalf of Piltover. His only clear memory from his former life is being left to die, sinking down as the hull of a ship receded into the distance. The techmaturgic machinery of his suit seems completely destroyed, or at least corrupted, but thorough examination indicates that it is originally of Piltovian make. In exchange for his assistance on the Fields, Piltover has dedicated a team of its researchers to examining the suit—also of great interest as a type of enchanted machinery that might be put to good use in its New Model Army—and attempting to coax some trace of information out of its enchantments. 10 July, 25 CLE—Lux, the Lady of Luminosity, enters the dispute on behalf of Piltover. Though Demacia largely refuses to become involved in the present conflict, it has agreed to send Lux. The Lady of Luminosity herself is curious to investigate theories that Demacian light magic originated as a splinter school of Shuriman solar magic. She will join Piltover in their research on Shuriman ruins, many of which have now risen up from the sands for the first time in millennia. She is also advising Jayce and other Piltovian researchers as they work to create a new type of techmaturgic device capable of channeling optical and prismatic energy. Should Piltover find itself battling Void demons or the undead, it will be most glad to have Lux on its side, given her key role in developing exorcism and banishing spells during the Hextech Revolution. Piltover has allied with Demacia in this dispute, gaining access to Jarvan IV, Galio, and Shyvana as Secondary pickups. This was part of the partial early victory Shurima scored earlier in the arc, which nerfed Shurima and buffed Noxus and Piltover, while giving Shurima a major story victory in the form of independence and League recognition. Piltover has excellent poke — it is sometimes known as “Poketover” by Factions players. It also often runs double-ADC comps, giving it immense lategame potential. Though specializing in poke, Piltover can bring Orianna and Vi to add some hard engage capability. Part I: Mirrorwater. Piltover placed third out of five factions. Part II: Ceruleana. Piltover placed second out of six factions. Part III: Discord. Piltover placed third out of four factions. Part V: Hextech Revolution. Piltover placed fourth out of four factions. 5 June, 25 CLE—Leona, the Radiant Dawn, enters the dispute on behalf of Shurima. Emperor Azir welcomes her into his court as a representative of Targos, a principality of the ancient Shuriman Empire. Twelve of the greatest Solari mages come with her, professing their desire to venerate the Sun Disc and learn the ways of Shuriman solar magic. Nasus permits four to proceed. Seven of their number he refuses; one more falls dead beneath his gaze. 3 July, 25 CLE—Zilean, the Chronokeeper, enters the dispute on behalf of Shurima. His ruined homeland, Urtistan, was a principality of the Shuriman Empire before it broke away to join the Magelords; it was destroyed by the summoner-knights of the Protectorate in the Second Rune War, hundreds of years before Azir’s time. Zilean witnessed this dark day from within a whirlwind of alternate timelines and parallel realities, now linked together in a bewildering fractal mindscape that blurs what was with what might have been. The rise of the Sun Disc, itself a symbol of the resurrection of a nation thought to have been forever lost, has illuminated a glimmer of hope within the chaos: a vision of a spell that could open a portal between timelines. Zilean does not know if this is merely the product of his own tortured mind, arriving at a solution much too late to be of use, or if it might be a lost memory. Could some of his people have escaped Urtistan’s doom? He has pledged his loyalty to Azir in the hope that he might find answers as the secrets of Shurima are unearthed. 7 August, 25 CLE—Rammus, the Armordillo, enters the dispute on behalf of Shurima. Many questions as to the reason for his involvement remain unanswered. 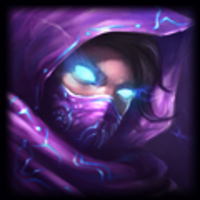 Note: If Shurima recruits Malzahar or Rek’Sai, it loses access to Kassadin. If Shurima recruits Kassadin, then selects Malzahar or Rek’Sai, they will replace him. 12 June, 25 CLE—Pantheon, the Artisan of War, enters the dispute on behalf of Shurima. Like Leona, he claims the ancestral right of the Targos, once a kingdom within the mighty Shuriman Empire. Nasus objected to his entrance, declaring that Pantheon embodies the reckless thirst for conquest that ancient Shurima did well to relegate to the periphery. Their fabled relic-weapons bear Shuriman inscriptions that originate with a fanatic war-cult, hunted almost to extinction by Nasus and Renekton during Azir’s reign. When Renekton emerged from the tomb, his once-noble spirit painfully fractured by his captivity, he forsook his identity as a guardian and swore himself to this cult, sinking deeper into his madness but finding freedom from his pain therein. When Nasus opposed Pantheon’s entrance, Renekton intervened with an ultimatum to Azir: accept the Rakkor, or face the combined fury of Renekton’s Shuriman warriors and Pantheon’s clan. Seeing no other choice, Azir relented, and a battle-shrine was consecrated with blood within the walls of the Shuriman capital for the first time in more than two thousand years. 14 August, 25 CLE—Alistar, the Minotaur, enters the dispute on behalf of Shurima. 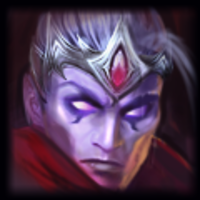 His declared intention is to thwart Noxian plans to subjugate yet another proud people, and to secure a place for the minotaur tribes in Azir’s new Empire. The minotaur tribes of the Great Barrier were never formally a principality of Shurima, but Nasus has brought forth ancient Shuriman records that suggest they did at times shelter within Shurima when the Rune Wars swept through that region, and otherwise had friendly relations with the Empire. Alistar and the minotaur tribes have historically relied upon Demacia for protection, but especially with Demacia withdrawing more and more from world affairs since the Battle of Shurima during the Hextech Revolution, Alistar is no longer confident that Demacia’s protection will be enough. This is Shurima’s first Factions arc, and it remains to be seen what kind of gameplay characteristics it might have. Shurima has not yet been in a previous Factions arc as a playable faction, though it was the setting for Part V: Hextech Revolution. How do you decide which faction gets which Champions? Invariably, we get some comments about roster selections. In short, Champion allegiances are rarely unambiguous, and people are at times too quick to argue about what a Champion “would do” or “would never do.” These rosters have been extensively debated by Factions staff and the community, and while we welcome further suggestions, please do not assume we’ve simply thrown darts at a board to arrive at these assignments. It’s quite understandable that some decisions will seem a little awkward or uncomfortable; in many cases, the Champions themselves likely feel the same way in-universe, but politics is a messy business, and for every Jarvan IV or Darius there are a dozen Champions with more complex loyalties and competing motivations. “Graves and Twisted Fate hate each other! They would NEVER fight on the same team.” Many Champions are wandering Valoran on a quest for vengeance. They tend to be pretty angry people, actually. But generally speaking, they’re not fighting for each other: they’re fighting for their faction. It matters less what they think of one another, and more what they think of what the other is pushing the faction towards. “But Janna isn’t even from Piltover! She’s from Zaun.” A Champion’s birthplace can be an important factor, but it’s not always dispositive. “These Tertiary options are really weird.” Recruitable Champions are sorted into two categories: Secondary and Tertiary. Tertiary Champions have much more tenuous connections to their faction, and are significantly more difficult to recruit as a result. (They consume two pickup slots, whereas Secondary Champions consume only one.) Tertiary Champions are indeed often very weakly related to the faction in question. However, in the interests of variety (both in gameplay and in story), we like to give factions a few “wildcard” options to spice things up. Lastly, some of you might wonder exactly how Champion allegiances work in-universe. There are two main requirements for a faction that wants to recruit a Champion. First, they need to convince the Champion to fight for them, which might require some policy concessions or simply a lot of cash. Second, they need to convince the League to let them into the dispute. We’ve deliberately kept the details of that latter criterion rather vague; presumably, there are both legal and political factors that play into the League’s decision. In reality, of course, we’re mostly just looking to create rosters that are recognizably related to a given in-universe faction and that are fun to play. By a miraculous coincidence, the League’s own decisions tend to serve these ends, which is very fortunate for us. Story. We start by looking at the official written lore. Sometimes, this is dispositive: for example, it’s pretty obvious that Swain will be fighting for Noxus, absent highly unusual circumstances. Often, though, the lore is somewhat ambivalent. Theme. We try to give each faction a cohesive in-game feel. For Piltover, that’s “steampunk”‘; for Zaun, that’s “mad science”; for Noxus, that’s “axes and spiky armor”. A good thematic fit can help nudge a Champion onto a roster. Gameplay. These limited rosters give each faction distinct strengths and weaknesses, and push Summoners to devise creative strategies that wouldn’t be necessary or viable in the 100+ Champion meta. We might give a Champion to a faction to help reinforce a strategy players have discovered, or to open up a new strategic option. More basically, sometimes we’ll pad a roster just to make it large enough to be playable. We also try to make sure each roster has some 450 IP (or at least 1350 IP) options. Core. These are Champions whose absence would be markedly strange. Factions always (or almost always) start with at least their full Core lineup. Secondary. These are Champions whose presence would be largely unobjectionable. They usually have a good Story connection, and a strong thematic connection. Champions are from a faction’s territory, but are largely disconnected from the faction’s affairs, are good candidates for Secondary placement. It is relatively easy for factions to recruit Secondary Champions as the arc goes on, and factions may start with some as well. Tertiary. These are Champions whose presence would be odd, but explainable. A tenuous or speculative Story connection may suffice, together with some semblance of thematic cohesion. Tertiary Champions are difficult to recruit, and a faction is unlikely to get more than one or two per arc. Factions can recruit Champions as the arc progresses. We tend to begin with fairly small rosters and then allow factions to recruit additional Champions. This adds a meta-strategic element to the arc, as factions decide which Champions they most need. On the first, second, and fourth weeks of each month, Factions may recruit a new Champion. They may recruit either a Secondary or a Tertiary. If they recruit a Tertiary, however, it also consumes their next pickup credit. (Tertiaries are twice as “expensive” as Secondaries.) Factions may not select a Tertiary in two successive pickups, unless they are out of Secondary Champions. Recruitment polls are posted on Sunday or Monday. They close on Friday. Factions may select either a Secondary or a Tertiary with their final pickup. The arc will continue for at least one week after the last pickup. If two factions both select a Champion in a given week, a bidding competition is held. Both factions will be given a secret vote as to whether they would be willing to recruit the Champion as a Tertiary. If one is, and the other isn’t, then the faction that’s willing to pay the Tertiary rate (in-universe, representing, e.g., giving the Champion special concessions) gets them. If their preference-strength is the same, we flip a coin (or roll Diplomacy, if we have World Systems up by that point). For unscored Intermission Matches, which do not affect the storyline, use the Intermission Rosters. All factions are playable in Intermission Matches, and anyone can fight for any faction (even against their “real” faction). Featured Match signup banner by KBloodslear, using Riot art.